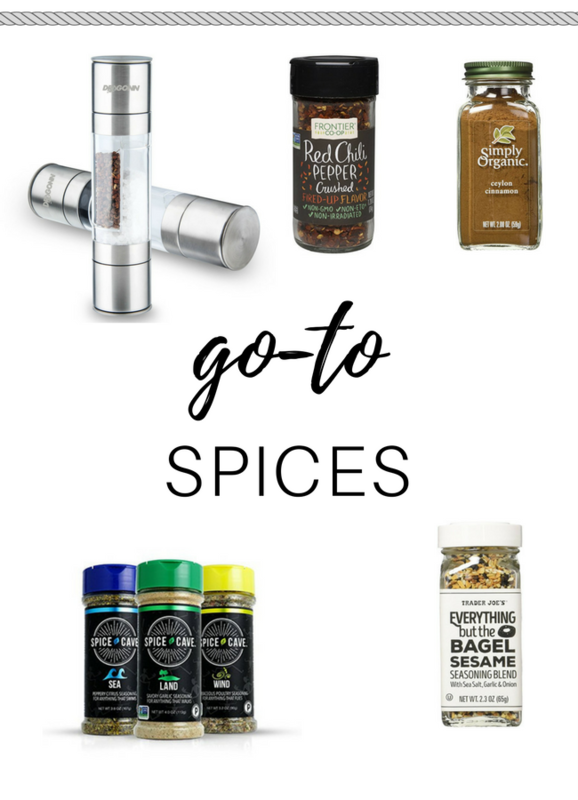 To shop ALL of my Amazon favorites from kitchen tools to supplements to nail polish, check out my visual shop page HERE. Can we start this post with a moment of silent praise for Amazon? ... K great thanks, now we can continue. Because seriously you guys- where did I get all my stuff that I needed IMMEDIATELY (and by immediately I mean guaranteed within 2 days) before Amazon Prime!? The selection is amazing, but most of all the convenience factor: it is huge. So while sometimes the price isn't the absolute lowest or it's not the exactly right brand, the fact that so many have access to it is a big deal. It would take me forever & a day to compile grocery lists for all of the stores you guys have told me that you shop at: Aldi, H-E-B, Publix, Kroger, Safeway, Raley's, Costco, Trader Joe's... and at the end of the day, there would still be tons of you who don't have access to that store. So while I know some of my international friends don't have the same things available on Amazon, I'm doing my best to please the Amazon-loving masses with this post! I hope you find it helpful, and are able to use it as a reference when you're starting or mid- Whole30. 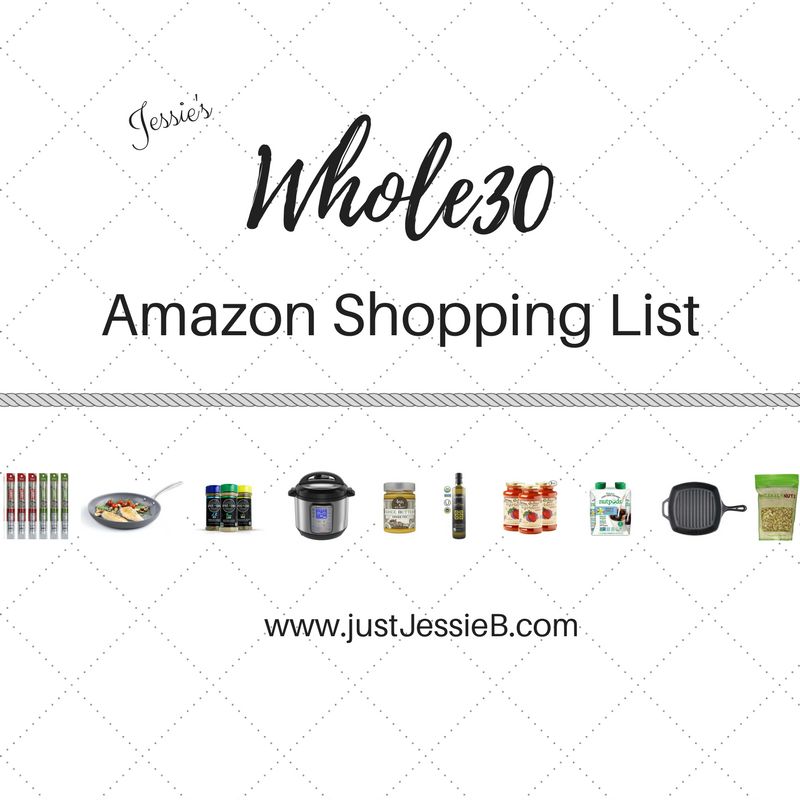 And honestly, even if you're not Whole30: these are basic things I use & love all year round, Whole30 or not. Note that you don't need EVERYTHING on this list. But I wanted to give you options! If you have questions on choosing one thing over another (e.g., Instant Pot vs Slow Cooker) send me an email or leave a comment below! I just wanted to cover all of the bases. Also, please know that the links used are Amazon affiliate links, so I receive a small percentage back when you purchase through them. You by no means have to use my links, but it supports me & my blog when you do, and helps posts like these continue. Thanks so much guys!! PS: If you have further recommendations, I would love for you to leave them in the comments for others to read & refer back to! Let's make this a joint effort. 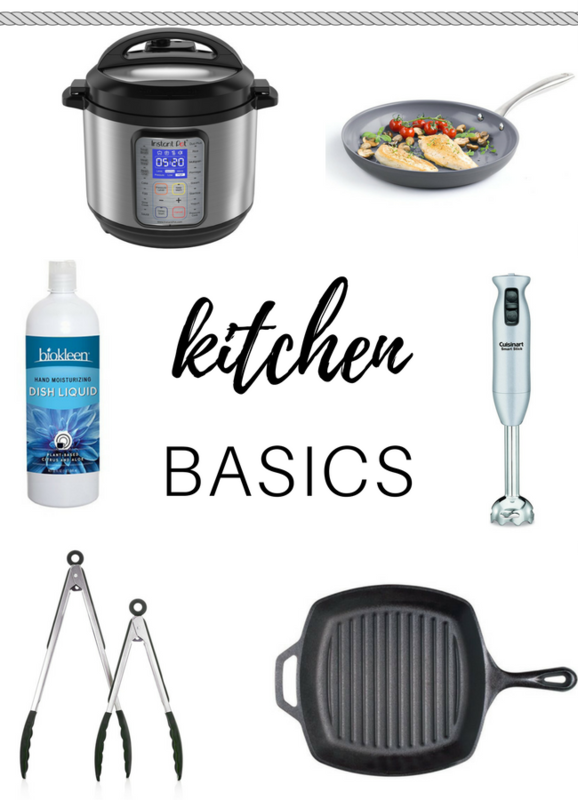 Kitchen Basics: Because all of the best ingredients can only get you so far if you don't have the tools to prep & cook them. I've included some of my favorite cookware, dishes, tools, and more- even our go-to safer soaps! Cutco Knives - my favorite, but any good knives will do! 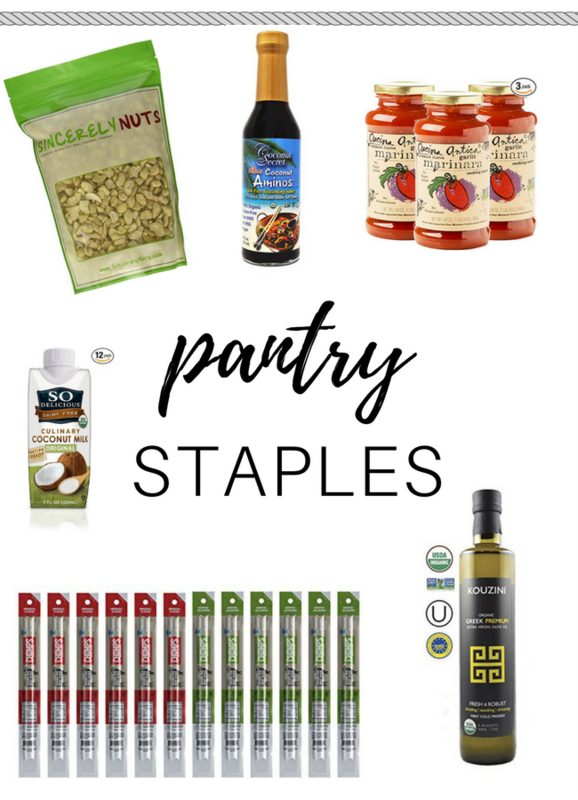 Pantry Staples: From cooking fats to emergency snacks, here's what you'll typically find in our cupboards! Go-To Spices: A dish is only as good as its spices, and finding compliant ones isn't always as simple as it seems. These are a few that I mix & match, and use for just about everything! Coffee Favorites: You all know by now that coffee is important to me. Here are some Amazon finds to make yours delicious AND nutritious! 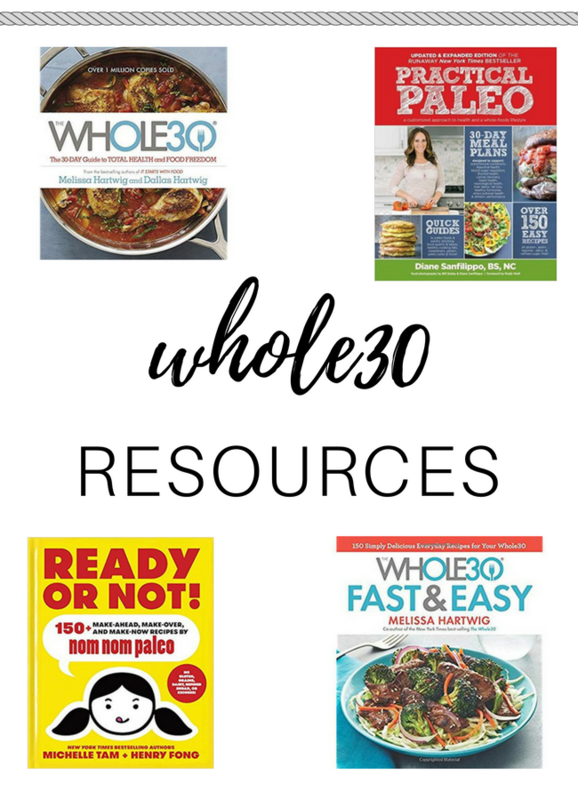 Whole30 Resources: Of all the cookbooks & guides out there, these are the ones on Amazon that I would recommend most. Books marked with an asterisk* contain some recipes that are not compliant, but I've mentioned them anyway because they are great for ideas, and can be used for life after Whole30 as well. skillet meals, stir-fries, sheet pan suppers, slow cooker- 150 more recipes! fun recipes with funner (is that a word?) flavors! That's all folks. I'm sure I will add to/edit this list over time. But until then- I hope you find it helpful! Happy Whole30! What an amazing resource you've created! Thank you so much! So happy you guys are loving it!!! Thank you!! Hi Jessie! So glad that I found you while you did the Whole30 instagram takeover! Personally I love that someone out there loves the Cutco cheese knife as much as I do! :) One question for you, why do you say that the chocolate RX bars are out for Whole30? I love 100% dark chocolate - is chocolate not allowed on Whole30 or is it only chocolate with sugar in it that is out? Sorry for my confusion! Hey Samantha!! Love a good cheese knife- haha! I’m actually going to update the RXBAR part because after reading & reading things straight from the Whole30 site it seems that although not encouraged, the chocolate ones are technically allowed. So it would just be the peanut one that’s not compliant! Thanks for your comment, it prompted me to dig a little further! Thanks so much for the clarification Jessie! Happy New Year! Hey Jessie! Absolutely love this guide! I was wondering where you got your vanilla collagen powder? I see the regular peptides but the vanilla you normally use looks yummy! Hi Chanda! 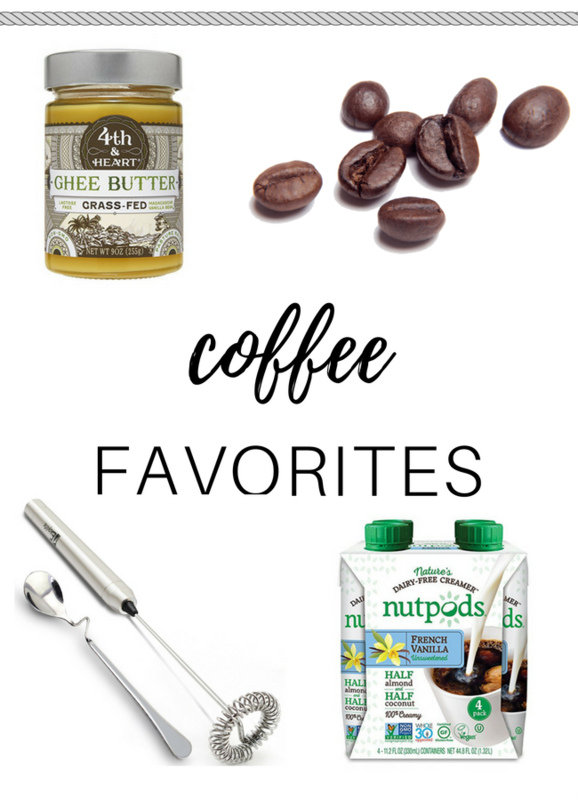 That creamer is linked in my bulletproof coffee recipe! It’s so good!! Great list, Jessie! Thank you for taking the time to put all of this together. So many things on this list made me say "OOO love that" and it gave me ideas for later :) I've already purchased your milk frother recommendation and may have to adopt your entire coffee routine ha! Have you ever tried Silpats before? They are a silicone "mat" that you put on your baking sheets instead of parchment paper or foil. They are non-stick, washable and reusable (environmentally friendly! ), and you don't have to deal with annoying rolling parchment paper. I highly recommend! I use them for baking, roasting, and anything else on a baking sheet.